8. Galaxy Camera, Galaxy Gear, and MOTOACTV Smart Watch support. 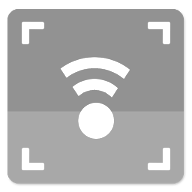 NEW: Multiple remote cameras control on the same remote mode. 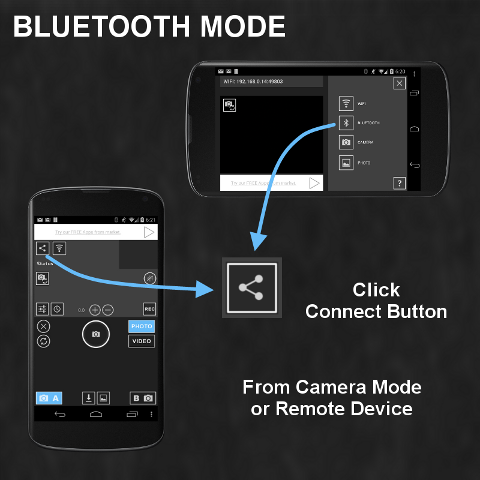 Information for Multiple Camera Control version Bluetooth connection. 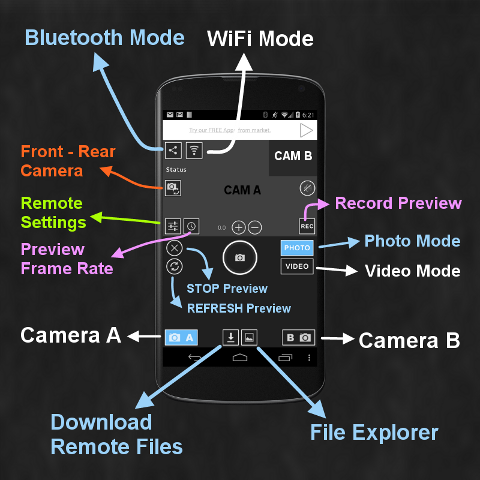 If camera remote android app is having connection issue after update, try following procedures. 1. Uninstall the app from the both devices. 2. Un-pair bluetooth pairing from the both devices. 3. Pair bluetooth from Android Settings Bluetooth section. 4. Install new updated version on the both devices. 5. If connection looses during the session, try to close app from the both devices and start app again.  try them as Camera Mode if bluetooth connection is having issues with KitKat Nexus Devices.